SXSW returns to The SXSW Outdoor Stage at Lady Bird Lake for another year of excellent shows in the park. These two shows will be free and open to the public, but require a free SXSW Guest Pass. We are pleased to announce the lineups for Thursday, March 16 and Friday, March 17 at the Outdoor Stage at Lady Bird Lake. On Thursday, SXSW presents All Latino Resist Concert Presented by Voto Latino, with a lineup including Panteón Rococó, Residente, and Ozomatli. Panteón Rococó is known for creating energetic and political music by blending of music styles such as rock, punk, mariachi, reggae and ska. Residente is most recognized for winning 25 Grammy Awards, the most Grammys ever awarded to a Latin artist. Ozomatli is also known for their vocal activist viewpoints and variety of of music styles such as salsa, jazz, funk, reggae, and rap. 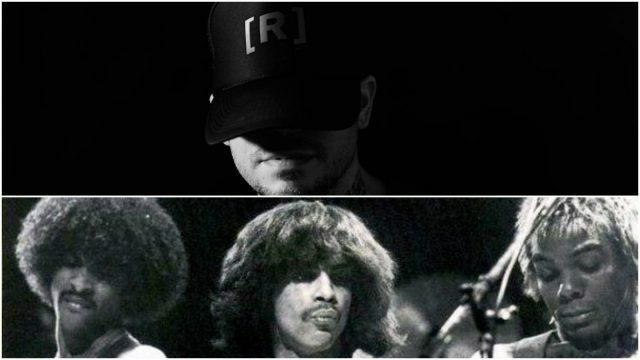 On Friday, there will be a Tribute to Prince featuring Dez Dickerson, Prince’s long time friend, original bassist and musical collaborator, Grammy-winning artist and producer Andre Cymone, the legendary Wyclef Jean, Grammy winner and former Shalamar guitarist Micki Free, together performing classic Prince songs in a one of a kind, one time only performance. More special guests TBA. The Outdoor Stage at Lady Bird Lake is open to the public with the free SXSW Guest Pass. SXSW Badge and Wristband holders do not need a Guest Pass to attend. If you haven’t registered for SXSW yet, time is drawing to a close. The Outdoor Stage at Lady Bird Lake is sponsored in part by Cirrus Logic and Café Bustelo. Multi-year Supporting Sponsor Cirrus Logic is the forefront of cutting-edge audio and voice IC products across the audio signal chain for mobile communications, consumer audio, and smart home applications. Café Bustelo® brings a one of a kind cafecito experience as Supporting Sponsor of the Outdoor Stage at Lady Bird Lake. Stop by for free coffee, giveaways, to charge your devices and more! A special thank you to SXSW’s long time media partner of the Outdoor Stage, ABC affiliate KVUE, who will provide up-to-date weather reports for the duration of the concert series. The Outdoor Stage at Lady Bird Lake is a charity event benefitting LUPE Arte, a multimedia nonprofit arts education organization encouraging Latino arts and culture within the Austin, Texas, community.